After reading Part 1, check Part 2 here. Tokyo has always been in Charlie's bucket list so when he suggested that we visited Japan I was super excited. I am so happy we had four days in Tokyo to explore its parks, shrines, temples, neighborhoods and restaurants... and now I can say that Tokyo is on my list of cities I would definitely live (Rome, London and Berlin are the other three places that I am completely obsessed with). Since I did not have that much time to plan four entire days, I asked for Go Journy's help - a travel concierge service, that gives you recommendations from local experts and other people that are extremely knowledgeable about the area you are travelling to. Go Journy planned 2 out of my 4 days there. If you want to try their services, for any other places you might be thinking about going, click on this link for my discount code for a free day of planning. Travel plan per day starts at $25/day. I will share with you more about our itinerary below. We did some things that were not touristy, that I think were pretty cool. The key for me is to plan each day in one specific area of the city, to spend less time in the metro/bus/taxi and more time having fun. We arrived in Tokyo by the express train from Kyoto. 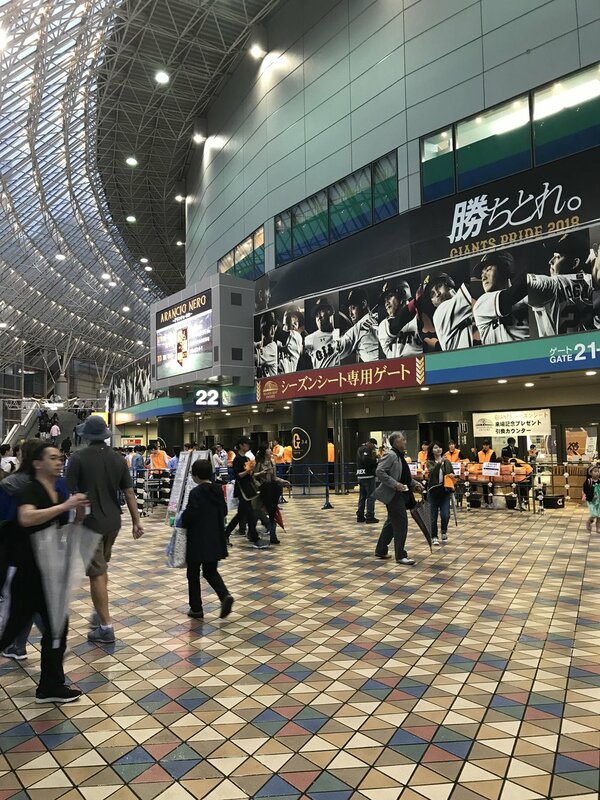 It was a rainy Sunday, and it was already late when we got to the hotel, so we ended up deciding to go to a Baseball game in the Tokyo Dome. Apparently, they love Baseball, so it was super fun to watch a game - very different from Baseball games here, it reminded me more of college games, with lots of people playing instruments and singing during the game. 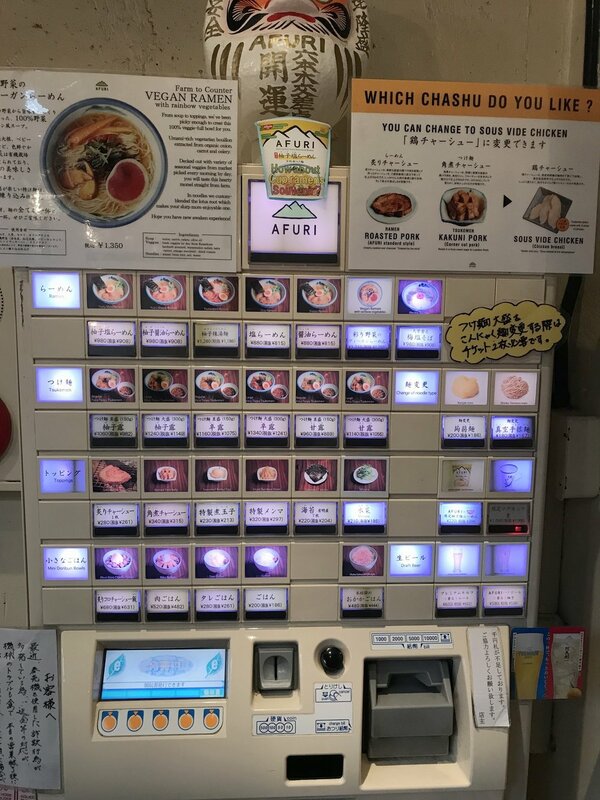 For dinner, we had the famous Afuri ramen - they have several locations in Tokyo and the way it works is that you choose the ramen you want through this machine (photo) - no need for servers or cashiers. Japan is super efficient in many ways. We took the metro to Kaminari Gate, walked through Nakamise Shopping Street, a place full of souvenirs, kimonos and cute gifts. Nakamise takes you straight to Senso-Ji temple, the oldest Buddhist temple in Tokyo. It is a must-see! As Go Journy recommended, we had a melon bread as a snack (no ice-cream. but you can do with soft serve ice-cream) at Asakusa Kagetsudou - Melon Bread is a sweet and fluffy bread, no melon in it at all. From there, we decided to walk to Kappabashi Street, where you find everything you can possibly imagine for your kitchen - even fake food, that restaurants use in their displays. If you have space in your luggage, it is worth bringing some ceramics - and bring cash - a lot of places don't take credit card there. From Kappabashi, we decided to take a metro to Tokyo SkyTree tower (450 floors!). Wow! Super impressive. We paid ~$20 to go up, and I thought it was pretty cool. But, if you are not really into spending $20 to check out Tokyo from above, I would HIGHLY recommend stopping by Asahi (the local beer) beer garden. It is a hidden gem. 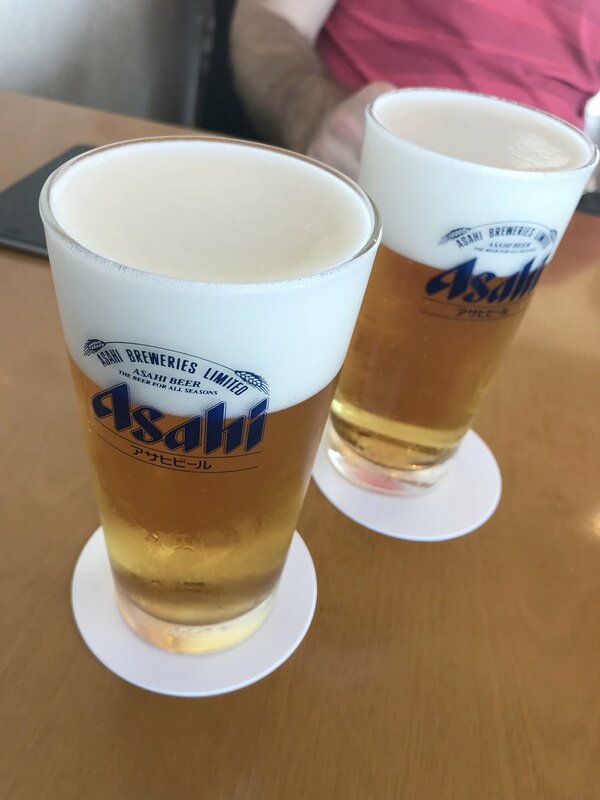 It is not really a beer garden, it is more like a bar, on the top of Asahi's headquarters, and you only pay for the beer (#winning). Look at the awesome views (photos below) I really hope that Asahi does a renovation in the place and makes it more modern - it is a bit older - cause the views are to die-for! Well, from there Charlie and I headed to the Sumo Match! Definitely one of the highlights of the day. Here is all you need to know about buying tickets to the next Sumo Tournament - there is a lot to explain! The match happens throughout the day, but we decided to go 3:30PM to see the Top-division entrance ceremony. So, we ended up spending two hours in the Sumo Tournament and it was pretty cool to see the wrestlers and then take pictures with them #groupie! Well, after this long day we went straight to bed... just kidding! We had back back to the hotel (The Prince Gallery Tokyo Kioicho - more here) and went to their cool bar, on the 35th floor. Check Day 3 and 4 here. For Go Journy's travel concierge service: click on this link for my discount code for a free day of planning. Travel plan per day starts at $25/day.